According to Harvard Medical School, a review of studies stretching back to 1981 concluded that regular exercise can improve mood in people with mild to moderate depression. They also found that it might play a critical role in treating people with severe depression. Harvard is just one of the many organizations and foundations looking into the impact of exercise on depression. Study after study has shown that exercise can be a very real and effective part of combating both anxiety and depression. Before we move on, let’s take a quick look at the definitions of anxiety and depression. Okay, now that we have a general definition of both anxiety and depression, let’s talk about how exercise can help. 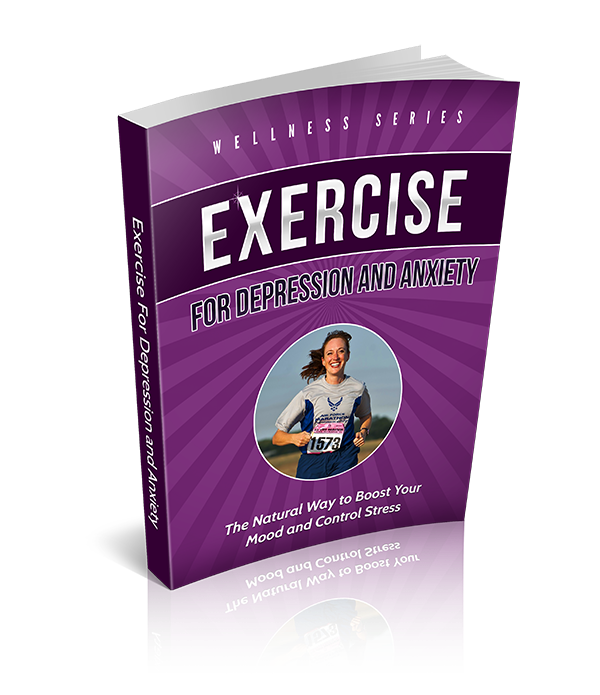 It’s important to point out that in many cases exercise can reduce or get rid of depression. However, exercise may not cure depression or anxiety disorders. It can help, it can reduce the need for medication, and in many cases it can eliminate the need for medications. Depression and anti-anxiety medications are expensive and come with side effects. Exercise can be free and there are no side effects. It also improves your health. It’s easy to get started and the benefits can last a lifetime. So on that note… let’s start by talking about the benefits of exercise and how it can help beat depression and anxiety. Do you travel? Many people travel for work. They spend long flights sitting in cramped spaces. They take a taxi or Uber to the hotel, or if they’re lucky they get to rent a car. Then you’re in the hotel eating hotel food, probably not getting great sleep, and likely sitting in meetings all day. While traveling for work can be enjoyable and productive, and hopefully profitable, it’s not always good for your health. Most people find it a real challenge to eat healthy, get good sleep, and to move their body and exercise while traveling. Traveling for pleasure isn’t much different. Sure, you’re going someplace that you’ve chosen and hopefully you don’t have to wear a tie or a suit. However, you’re still in an unfamiliar place where you may not move as much as you should, eat as healthy as you could, or sleep as well as you’d like to. Sleep, nutrition, and movement are all important factors in how you feel physically as well as mentally and emotionally. 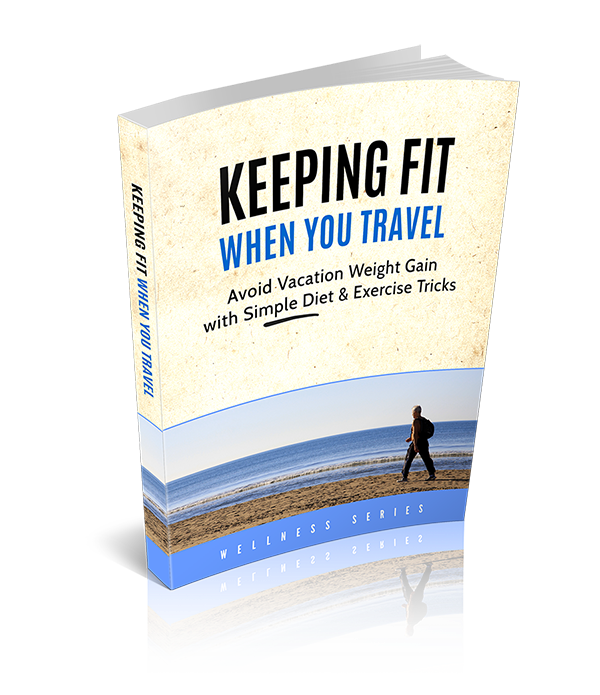 You’ll have a better business trip and a better vacation if you can fit some exercise (and some healthy food) into your trip. We’re focusing on exercise in this book because that’s often the most difficult component. You know you can have a salad instead of a hamburger at lunch, and you know that one cocktail is better for you than three. You probably also have some tricks in your bag for how to get enough sleep at night in a hotel as well. So let’s start by talking a bit more in depth about why it’s important to exercise while you travel, and how to make it enjoyable and effective. When you think about fitness and losing weight, what comes to mind? For many, they imagine someone running on neighborhood sidewalks or working out on a treadmill. Maybe an elliptical is involved or perhaps some weights. Generally, it’s a “cardio only” program that people associate with health and fitness. And for the people who love to run, indoors or out, that’s a fantastic image. But what about the people who prefer to jump, kick, hit, or tackle? What about those who like to twist, punch, and flip? How can they get in shape and lose weight? Martial arts is a term that encompasses dozens of different practices. Generally speaking, any martial art – whether it is Karate or Capoeira, or anything in between – has its foundation and origination in self-defense. This means that things like precision, force, strength, and endurance are all important elements. These core elements are what help you lose weight and get in great shape. Think about it for a minute; imagine an hour training session with kickboxing. Think you’re going to be sweaty, out of breath, and sore when it’s done? Yes! Think you’re going to build muscle and burn fat? Yes. Think you’re going to have fun doing it? Absolutely! 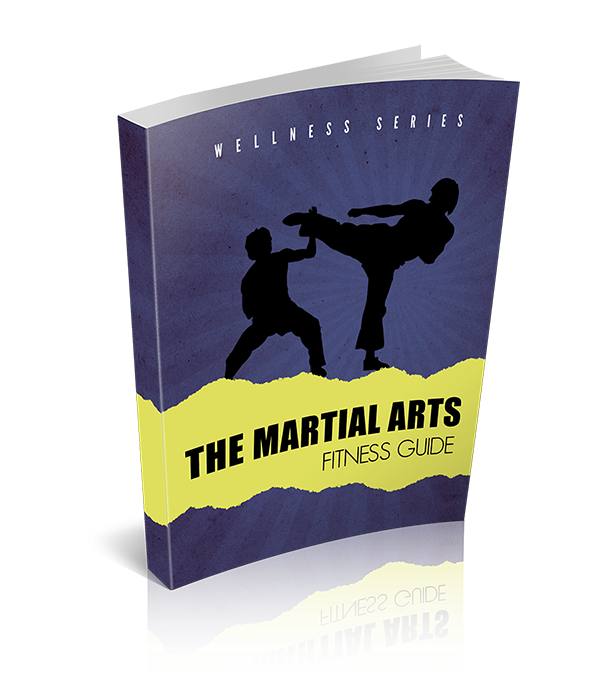 Each type of martial art has its own approach, and we talk about many of them in this guide. Right now, know that this variety in approaches is a benefit to you. It gives you the ability to find a practice and a sport that makes you happy. Why should a workout feel like a chore? It shouldn’t. It should be fun (or at least enjoyable), and martial arts offers enough variety that you will likely be able to find a practice you enjoy. So let’s talk about some of the different types of martial arts. Exercise is one of the best ways to stay healthy and live a long and productive life. Studies repeatedly show that people who do not exercise have poor health indicators. One of the most common reasons why people may not exercise is due to pain. It’s tough to move your body when it hurts. And back issues are incredibly painful. The good news is that exercise not only helps reduce back pain, it can help prevent future pain and injuries as well. The key is to know what exercises are best for backs, and how to perform the movements correctly. 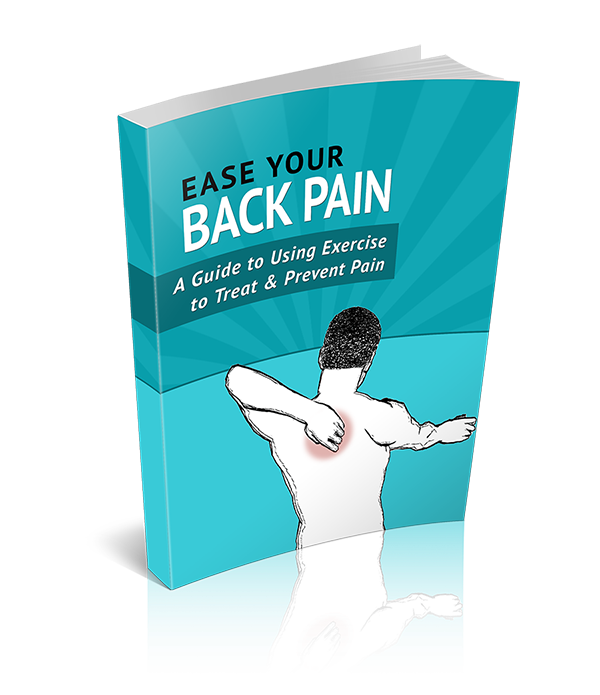 In this book we first take a look at how exercise helps with back pain, then we look at the most common mistakes people make when exercising with back pain. The rest of the book is devoted to exercises that you can do to have a healthier back. How long does it take to make a positive change in your life? How long does it take to improve your health and well-being? The answer is that it really only takes moments to change your health for the better. It only takes as long as you need to make the decision to take the first step toward better health. One of the things that makes change so difficult isn’t the desire or decision to get healthy, it’s the planning and overwhelm that often comes next. Once you make the decision to improve your fitness, then what? What are the next steps? When do you know you’ve achieved success and how do you measure it? This is the power of a 30-day challenge. A 30-day challenge gives you a day-by-day plan. You follow the plan, take the steps that are put in place, and at the end of the month you will be able to measure your results. Most experts tell us that it takes 14-21 days to create a habit. 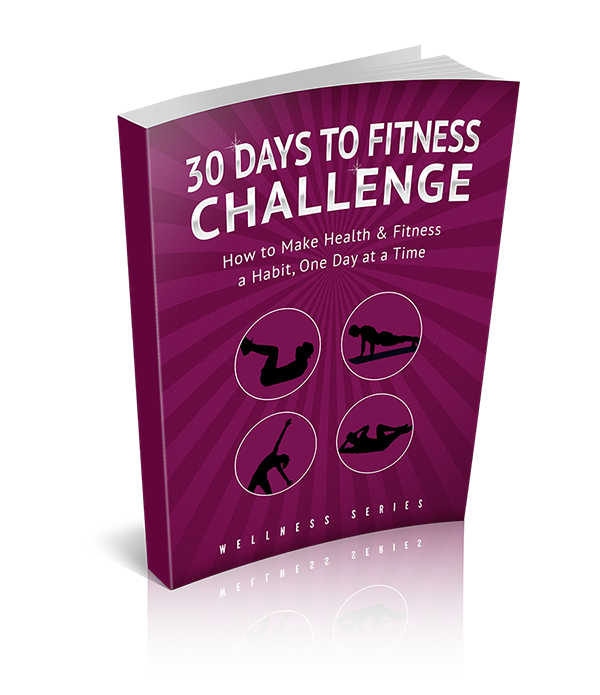 This 30-day challenge sets you up, if you choose, to create a daily exercise habit and plan that you can continue after the 30 days. It also provides you with an abundance of tips, advice, and measurements. All you have to do is take it one day at a time. You can do it! Today is the day you start making positive changes to your health and fitness. In 2015 more than 17 million adults finished a running event in the US. Of course, that number is much higher, since not every race sends its participants' info to RunningUSA.org, the compiler of this data. Of those runners whose data was collected, 57% were female and 43% male. That distribution follows the trend over the past 5 years that shows women are more inclined to sign up for, compete in and finish some type of running event than men. What type of events are the most popular? The 5K, 10K, half marathon and full marathons are far and away the most participated in among running races. This is probably because those are the types of races which are most frequently offered as well. The trend over the past 5 years of women dominating the amateur running scene is one of the reasons the 5K has become the most popular race. In 2015 a full 45% of the finishers in all running races tracked came from a 5K event. The half marathon was the next most popular to enter and finish, followed by a 10K and a full marathon. The good news overall? A lot of people are taking up running for the many health benefits it offers. If you run sporadically yourself, maybe you are thinking about getting serious. The best way to do so is to dedicate yourself to entering an organized event. Running a couple of miles once or twice a week may not be pushing you enough physically and mentally. If this is the case with you, which type of race should you enter? Should you start off slowly with a 5K, or just jump right into the deep end of the pool and begin training for a marathon? 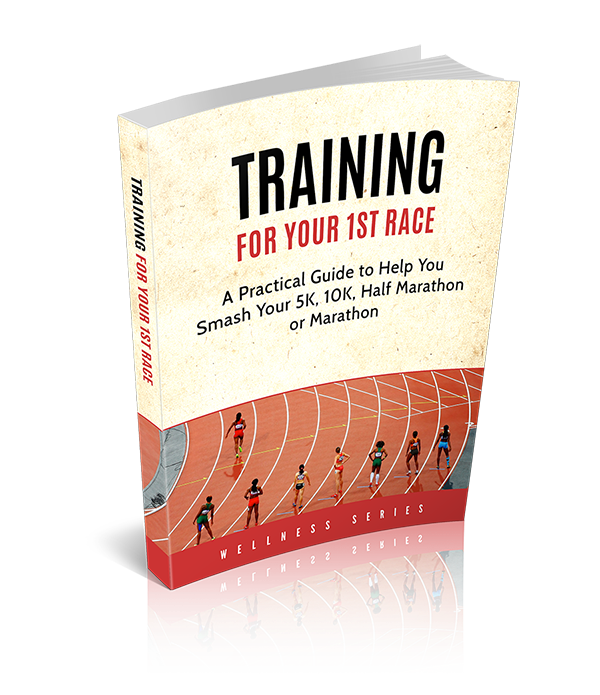 Training to run your first race is something that needs to take into account a lot of variables. Think about your unique situation. Look at your short-term and long-term running and fitness goals. Keep those in mind as we break down which of the 4 most common running distances is perfect for your first race.